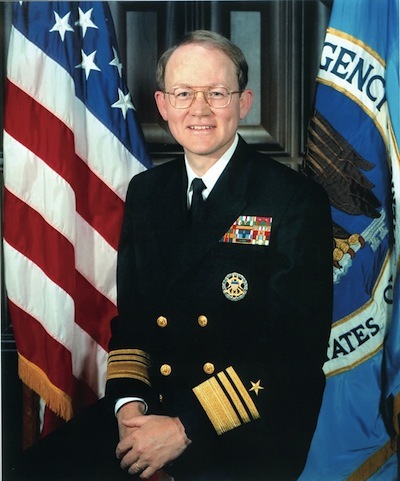 1992: VADM Michael McConnell, USN, became DIRNSA. 22 May 1992: VADM Michael McConnell, USN, became DIRNSA. Excerpt from Wikipedia: McConnell served as Director of NSA to 1996. He led NSA as it adapted to the multi-polar threats brought about by the end of the Cold War. Under his leadership, NSA routinely provided global intelligence and information security services to the White House, Cabinet officials, the United States Congress, and a broad array of military and civilian intelligence customers. He also served as a member of the Director of Central Intelligence senior leadership team to address major intelligence programmatic and substantive issues from 1992 until 1996. In 1996, McConnell retired from the Navy as a vice admiral after 29 years of service - 26 as a career Intelligence Officer. In addition to many of the nation's highest military awards for meritorious service, he holds the nation's highest award for service in the Intelligence Community. He also served as the Chairman of the Intelligence and National Security Alliance. McConnell is the second person to hold the position of Director of National Intelligence. He was nominated by President George W. Bush on January 5, 2007, and was sworn in at Bolling Air Force Base in Washington, D.C. on February 20, 2007.